High-profile password breaches and phishing scams resulting in huge amounts of data loss remind enterprises time and again that a mere username and password cannot provide proper security. This crisis has led to the need for a more secure two-factor authentication (2FA) solution. However, most of the current authentication solutions are either difficult to manage or not secure enough. 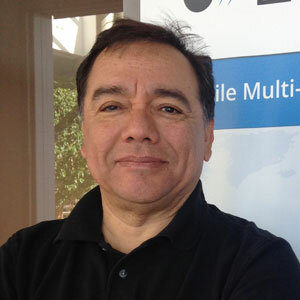 Realizing this gap, Hernan Matute, a specialist in IT security, credential management and cloud computing, founded Cyphercor—a 2FA provider offering an affordable solution called LoginTC. The company addressed the lack in online security solutions by developing a solution that delivers a complete credential management application. “Cyphercor was founded based on the need for a stronger 2FA solution that would address the three primary pain points: manageability, scalability and cost,” says Hernan Matute, CEO, Cyphercor. LoginTC is a cloud-based service that orchestrates connectors at customers’ premises and turns a user’s mobile device or desktop into a strong identity credential. For CA SiteMinder, Cyphercor provides the LoginTC Site- Minder Connector, which allows SiteMinder administrators to configure the LoginTC authentication scheme and associate it with protected resources contained within SiteMinder realms. “LoginTC easily integrates with CA SiteMinder and adds an additional layer of security to CA customers’ existing SiteMinder deployments with minimal effort,” says Matute. The easily deployable solution configures SiteMinder with 2FA in less than an hour. The solution also supports leading Business Process Management (BPM) and other enterprise management systems. “Organizations can use LoginTC for authentication with multiple online assets, such as VPNs or CMS systems.” he adds. LoginTC allows customers to download virtual appliances or software plugins into their virtualization or IAMs infrastructure. “Our customers leverage their virtualization and mobile investments in order to integrate seamless and secure components that allow them to deploy 2FA with ease and efficiency,” says Matute. Cyphercor can adjust and increase the performance of LoginTC in order to accommodate any scale and size of users using the technology. Through this, organizations can protect corporate portal or Virtual Private Network (VPN), cloud and corporate applications. “With our new graphical user interface (GUI) for easy web-based installation and configuration, LoginTC integrates with any VPN in a short time,” states Matute. In addition, the LoginTC mobile app can be deployed on Android, iOS and BlackBerry platforms. LoginTC allows administrators to register and provision any number of users, and configure customized notifications with contextual information they want to send to their end-users. “The company differentiates itself by its cost-effective enterprisegrade 2FA solution that integrates with MS Active Directory, LDAP or any SQL database so users automatically integrate with LoginTC services immediately. This makes the provision much easier than any other solution. Not only is LoginTC costeffective but it also addresses emerging SMB needs,” claims Matute. Cyphercor is committed to providing customers with an amazing user experience, while ensuring that their privacy and personal information remains secure. This has helped Cyphercor acquire an extensive list of blue-chip clients including government agencies and large enterprises like Infostrada, Harlequin and many more. “I really want to praise Diego and the other developers that were very forthcoming with help and support. It was beyond what I’ve dealt with with other companies at times in terms of speed of response and willingness to help,” reads a customer success story on the company website from Jonathan Phifer, systems administrator at Home Furniture. He is also quoted emphasizing the stability of the LoginTC system, and rates it a 5 out of 5. Cyphercor recently released a Google Chrome-based app. “Our customers can download the LoginTC Chrome app from the Chrome Web Store and experience multi-factor authentication on Windows, OS X or Linux platforms. In the future, we would like to see all browser manufacturers enable this kind of capability—secure push notifications in the cloud for browsers,” concludes Matute. A smartphone-based two-factor authentication (2FA) provider.